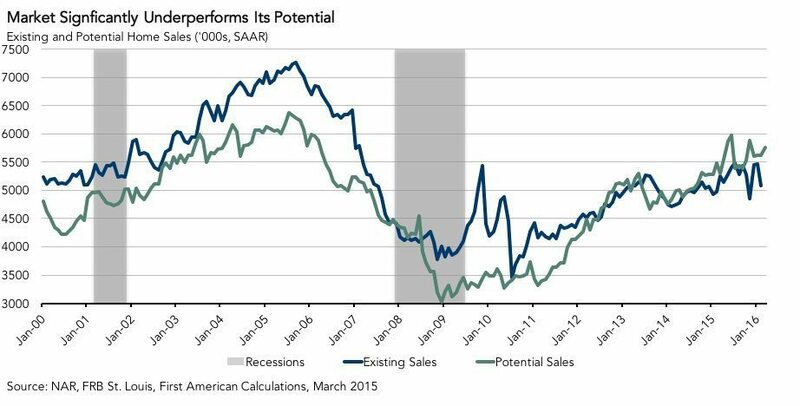 The seasonally adjusted annualized rate of potential existing-home sales is 5.8 million. This represents a 90.9 percent increase from the market potential low point reached in December 2008. This is down 615,000 (SAAR) or 9.7 percent from the pre-recession peak of market potential, which occurred in July 2005. Mortgage rates are at new lows in 2016. 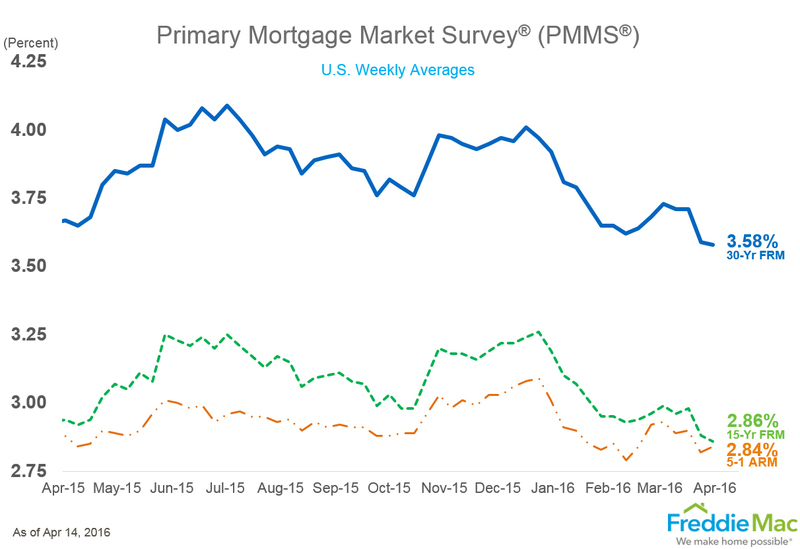 30-year fixed-rate mortgages (FRMs) averaged 3.58 percent with an average 0.5 point for the week ending April 14, 2016. This is down from last week (3.59 percent) and last year (3.67 percent). Mortgage applications for new home purchases increased 17 percent month-over-month (unadjusted). Conventional loans comprised 67.5 percent of loan applications. MBA estimates new single-family home sales were running at a seasonally adjusted annual rate of 574,000 units in March 2016. The Market Composite Index increased 10 percent (seasonally adjusted) from one week earlier. The refinance share of mortgage activity increased to 54.9 percent of total applications from 54.5 percent the previous week. The adjustable-rate mortgage (ARM) share of activity increased to 5 percent of total applications.